There’s nothing partisan or political about Maryland’s economy. It’s all about people. 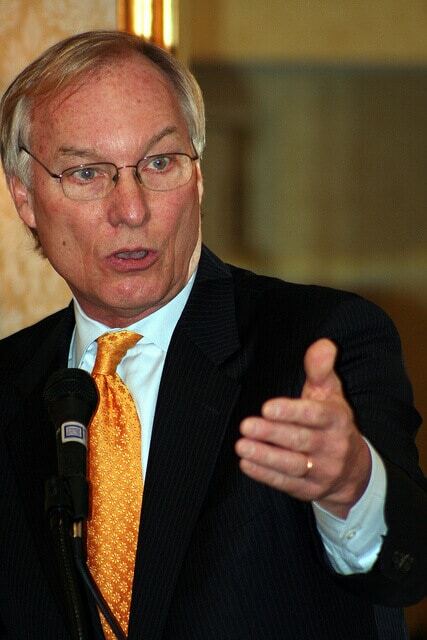 The minute we forget that, says Peter Franchot, this state is in serious trouble. Maryland’s comptroller had some advice for both sides of the state’s political aisle during the MACPA’s annual Comptroller’s Luncheon, and he didn’t mince words. “It’s time to abandon the divisive rhetoric and begin talking openly and seriously about the fiscal challenges and opportunities before us,” said Franchot. “… No more cuts simply because you’re expected to cut government, and no more spending in a way that, however well intentioned, simply doesn’t work. Franchot’s comments were particularly timely. They came shortly before the state’s Board of Revenue Estimates chopped about $271 million from Maryland’s expected general fund revenue — and that reduction came on the heels of a $405 million write-down in September. Franchot also had a few words for the state’s CPAs. The role the profession plays in the state’s finances is more important than ever, he said. “With all due respect to my colleagues, politicians can’t — and won’t — lead us to a truly lasting economic recovery,” he said. “It’s the private sector that assumes risks, creates family-supporting jobs, and generates the revenue that funds our important priorities. Franchot said he has met with Gov.-elect Larry Hogan to discuss the fiscal state of the state, and he is optimistic that progress can be made. That sounds like a call to arms for CPA Day in Annapolis, scheduled for Jan. 29 at the Governor Calvert House. The more CPAs who join us in meetings with state lawmakers, the more powerful our voice becomes. Those who attend will receive two free hours of CPE and help protect the profession at the same time. Get details and register here.